There are many reasons why companies and organizations already have or are thinking of going paperless. For many, it’s largely the appeal of not having to sort through piles of paper, easier access to backups in the event of disasters, faster access to documents, increased workplace efficiency and productivity, and more natural collaboration. In spite of the considerable advantages of paperless software, it is surprising how many companies have refused to transition to paperless technology. Most enterprises that have refused to adopt or have cold feet about paperless technology do so as a result of certain misunderstandings and misconceptions. In this article, we will attempt to shed more light on these misconceptions and help you to recognize the truth. This is a pervading mindset and one that many organizations can do without. Let’s consider this for a minute: how much space does your current filing system occupy? How many times have you misplaced or accidentally shredded important files? Do you think you could spend far less on your lease or rent by simply reducing the amount of space you need in your office? 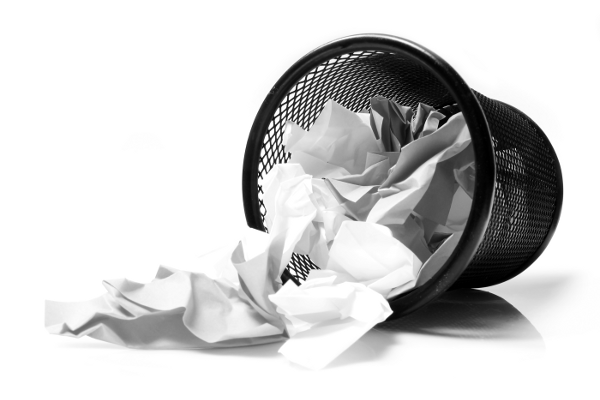 Do you think there’s less risk of a critical file or document loss with the paperless software? Do you think that you could minimize corporate espionage when you have a secure data bank for all your files? More importantly, how much damage would losing these documents or having your trade secrets in the hands of your competitors cause? When you think about all of these, do you still think the costs of using paperless software are higher than buying the needed 10,000+ sheets of paper required by each employee every year? The reality is that when you consider the short, medium and long-term benefits, going paperless is cheaper and a more secure option for your business. Translation: less productivity. How many times have we heard this? In fact, scanning is considered one of the most common reasons why people do not want to adopt paperless technology. It is often thought that scanning and uploading all incoming documents into the appropriate document management systems is time-consuming. Yes, this was true in the past when the filing and scanning systems were cumbersome. However, now that there are incredibly fast, portable scanners, you can go through all those documents very quickly and easily. Will you need scanning equipment? Yes. Will it cost a fortune to run? No. There are all types of scanners including portable scanners that you can hook up to your document management systems. Even better is the fact that most companies already own a scanning system that is part of a multifunctional printer. This often makes the transition to paperless technology easier. The reality is that scanning equipment is quite affordable and is cheaper in the long run than regularly buying paper. Oh, and you do not have stand in front of the scanner for hours on end to scan your files. The paperless software eliminates the need for that. There are desktop alternatives that will serve the same purpose and scan at the rate of 40 pages per minute or faster without you having to feed the documents in by hand or babysit the machine until the scan completes. These are some of the most common misunderstandings that we have heard. There are quite a few others including cumbersome filing and vulnerable data, but most of them still boil down to the fact that people are resistant to change. To counteract this fear of change, we would recommend that you gradually introduce paperless software in the company’s day-to-day activities. Once your employees see just how efficient it is and how easy it makes their jobs, they will be more receptive to it and more willing to forget their misconceptions.